Thank you to everyone who donated items, money, and time toward the hurricane relief effort. The combined generosity of our team members, suppliers and community partners filled an entire 53-foot semi-trailer from top to bottom with much needed supplies weighing nearly 40,000 pounds! The goods were shipped to a FEMA warehouse in San Antonio, Texas. We recently spoke to an organization who has boots on the ground in Houston, and they confirmed that there are still many families receiving emergency care through the Red Cross, FEMA, and private organizations. Thanks to you, we played a role in comforting those families who lost everything. 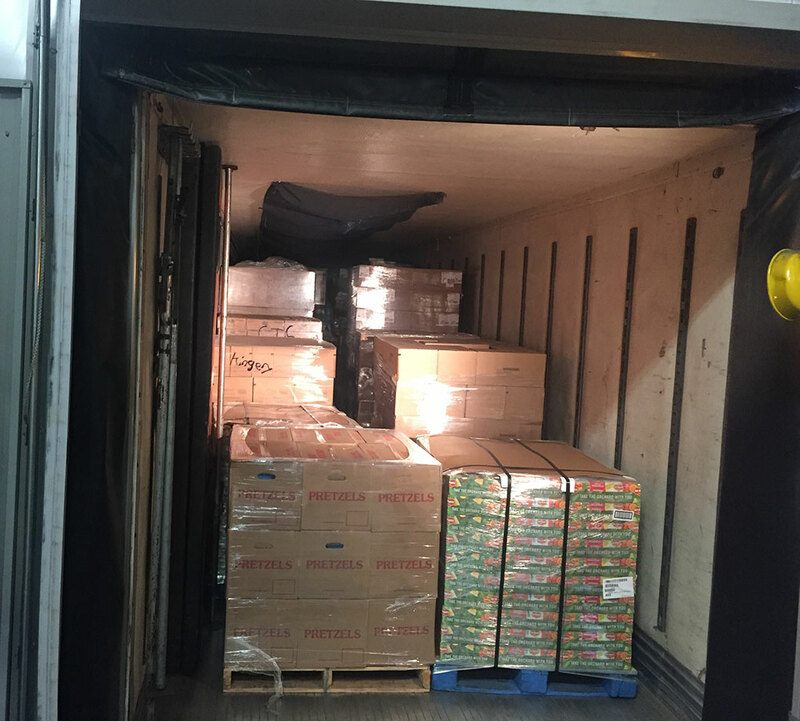 KZ employees generously donated over $12,000, and KZ finished filling the trailer with the purchase of additional essential foods. Our employees and partners at Gravure Inc., Lucchese’s, Dec-O-Art, and E & S Sales donated another 12 pallets of goods, including water, hygiene products and household items, as well as the fuel needed to transport everything to Texas. Lastly, D Bar D Trucking was happy to provide the semi-truck and delivery driver. Our donations will go a long way toward providing tangible help to the hurricane victims. Below are a few pictures we captured the day we loaded the truck. Thanks again for your generosity and care!